After many attempts at making my own pore strips, I think I’ve finally found one that I can really stand behind! 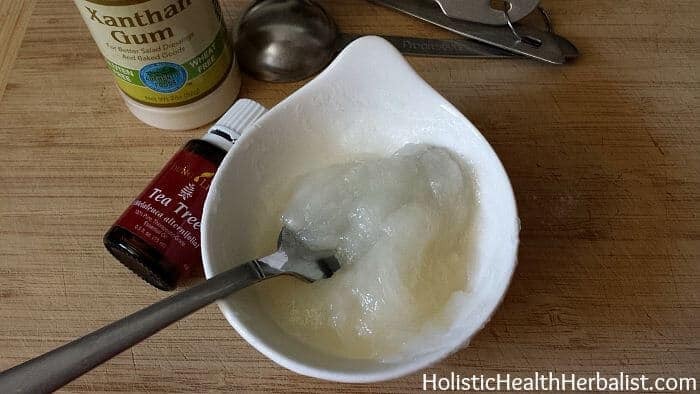 As you may already know, there are a few DIY pore strip recipes out there that claim to be best, and I’ll be honest, many people like them. Until I met xanthan gum! 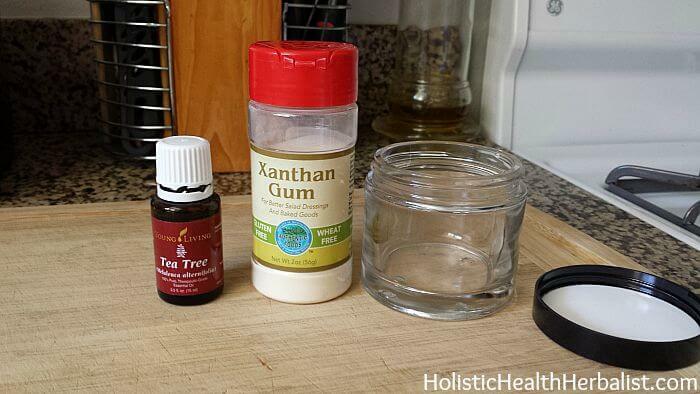 Now I know I’ve mentioned xanthan gum before for pore strips but I never actually tried it…You guys! 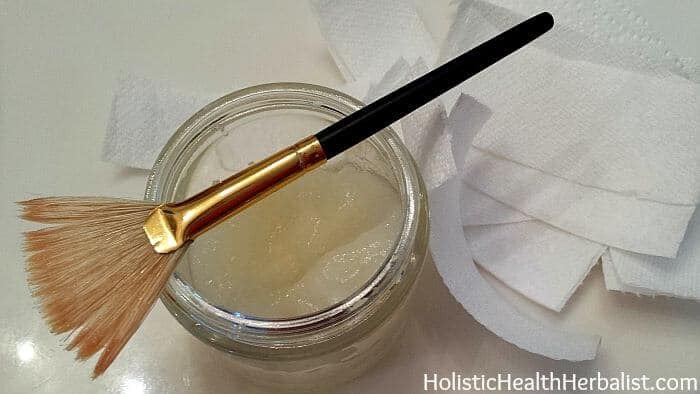 This pore strip is way stronger than all of the DIY contenders AND it doesn’t smell disgusting (if you have ever tried the gelatin pore strip recipe you know what I’m talking about)! What’s nice about this pore strip recipe too is it’s vegan and super easy to use. You don’t even need heat like all the other recipes for it to come together nicely. 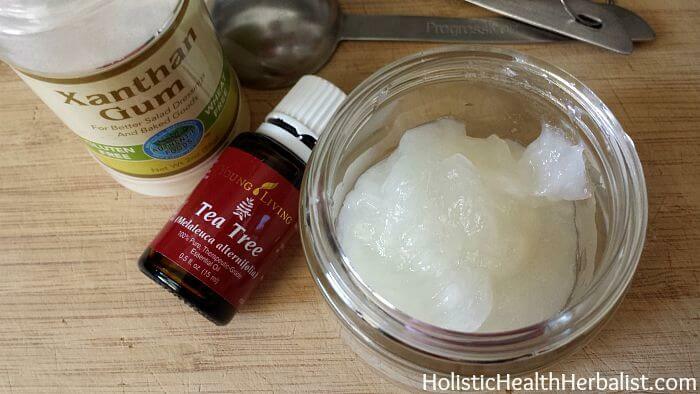 You can also add essential oils to make it extra deep cleansing like tea tree, melaleuca, or rosemary. I have found it to be great by itself (though for some this doesn’t work as well) or with the addition of paper towel strips to make it more peelable. In fact, I think it’s stronger if you do use the strips because you can really pile it on. • While mixing with the fork, slowly add the xanthan gum powder. You will notice that the mixture begins to thicken and it looks like some of the powder will not mix in. Keep mixing and smooshing it with the fork until smooth. This may take a few minutes, but it will smooth out. 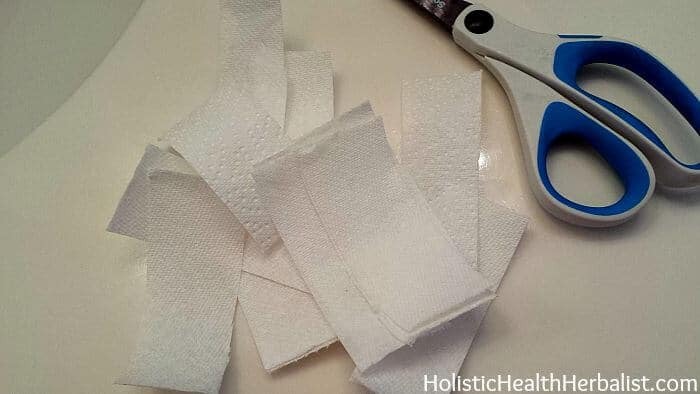 [yumprint-recipe id=’83’]I have found that this recipe lasts for about 20 good uses and costs way less to make than buying Biore pore strips. If kept in the fridge this recipe will last for a couple months but I have yet to have an issue with it going rancid before I use it up when kept in the bathroom medicine cabinet. I usually use this recipe about twice a week. What is your favorite pore strip recipe? Thanks for the recipe, I just tried it out and it worked! I also like using the paper towels versus toilet paper I think it really works better.